Everyone has food cravings from time to time. If you have them a lot, this can be extremely frustrating, especially if you are trying to lose weight. When most people have cravings, they think they are hungry. However, most of the time when you have cravings, there is more of a reason to it than that. Figuring out why you are having cravings can help to make sure you keep eating healthy and stick to your weight loss plan. If you crave chocolate, you are not alone. Many men crave chocolate at random times throughout the day. When you crave chocolate what you need is to get more magnesium. What are you supposed to do about this? Instead of eating chocolate, you should eat nuts, fruits, vegetables or seeds. If you have cravings for sugary foods, this is very normal. It happens to just about everyone. However, you don’t want those sugary foods; you may need Tryptophan, Sulphur, Phosphorus, Carbon or Chromium. If you need Tryptophan you should eat raisins, cheese, spinach or sweet potatoes. If you need Sulphur you should eat horseradish, cauliflower, cabbage or cranberries. If you need Phosphorus you should eat beef, chicken, eggs, fatty fish, vegetables, nuts, dairy or grains. If you need Carbon you should eat fresh fruits. Finally, if you need Chromium you should eat grapes, broccoli, chicken and cheese. If you have cravings for carbs such as pasta, bread and other types of carbs you should do something about it. The truth is you don’t want those foods; your body needs Nitrogen. When you need Nitrogen, you should be eating fatty fish, high protein foods, beans, nuts and even chia seeds. When you crave oily foods, what your body needs is Calcium. Calcium can be found in many foods but you don’t need to get it from oily foods. In fact, you can get Calcium from cheese, organic milk and even green leafy type vegetables as well. It can be difficult to fight off cravings for salty foods. However, if you know what your body needs instead that can help. Your body needs Silicon or Chloride. If you need Silicon you should eat seeds, nuts or cashews. If you need Chloride you should have goat milk, cheese or organic milk. Cravings can be a real pain, especially if you are trying to lose weight. 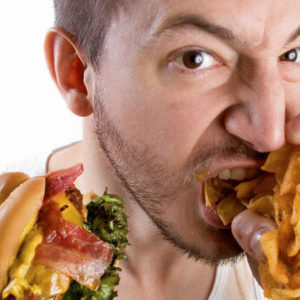 People believe that when they have cravings, it is for the foods they are craving. However, the reason for this is because you think that is the way to get what you want or need. Your body doesn’t need the chocolate, sugary foods, carbs, oily foods or salty foods. Your body needs other things as mentioned above.